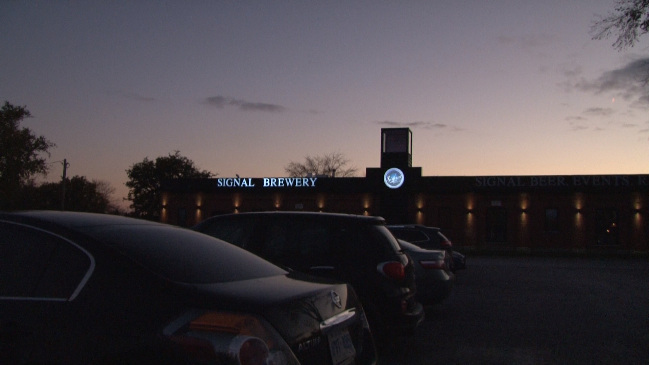 BELLEVILLE – Signal Brewery in Corbyville is giving local performers a chance to show off their talent with an open mic night every Thursday. Richard Corneyea is the owner of Signal Brewery. He says it’s important for local musicians to have a place to play in their community because it gives them a platform and a voice. “We’ll do whatever we can to make sure our voice is amplified,” he said. Acoustic Signal runs every Thursday. There are three pre-booked musicians with 15 minute sets to guarantee someone performs that night, and the open mic slots are between the performances. Mark Taylor, a local musician, has played at Signal before. He says it’s great chance for anyone to get on stage and sing. “Every town has people worth being on tv, music, videos, movies, anything… and there’s a small market actually get to do it,” he said.